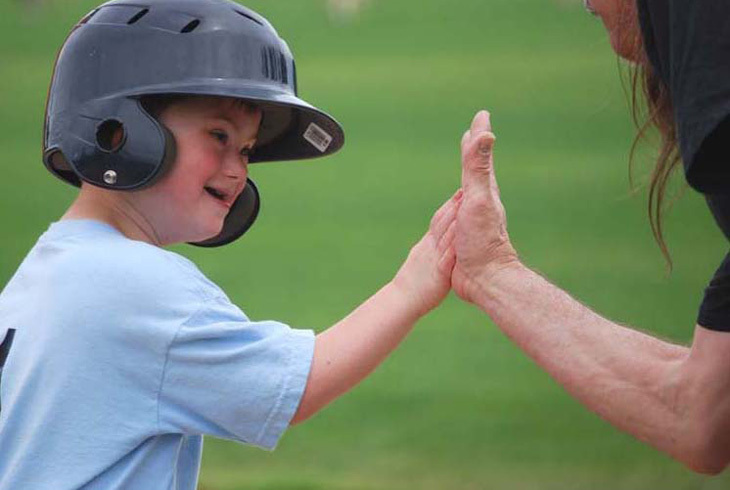 Our mission: to promote the power of choice to enhance the quality of life for individuals of all abilities by providing diverse accessible recreation in an environment that promotes dignity, success, and fun. THPRD's Adaptive and Inclusive Recreation program provides access to recreation programs within THPRD to patrons who have developmental, learning, or physical disabilities or mental illness. Adaptive and Inclusive Recreation provides particpants the opportunity to enjoy recreational, educational, and leisure offerings through THPRD. Registration is required for all Adaptive and Inclusive Recreation activities. Participants must have a valid THPRD identification card. If you do not have a card or an account, start here. Participants are required to complete an Intake Information form quarterly prior to participating in Adaptive and Inclusive Recreation activities and/or requesting Inclusion Services. This form is used to provide emergency contact information, health conditions, and specific accommodation and support needs of participants. A list of current class and program offerings can be found in the current activities guide under Adaptive and Inclusive Recreation. You can also search our class database. THPRD's Inclusion Services program provides individualized supports and accommodations that assist patrons with disabilities to participate in the wide variety of programs and activities available through THPRD. This program includes two regularly scheduled programs for teens and adults. These programs take place most Monday and Thursday evenings. This is a recreation and socialization program for teens (ages 14+) and adults with developmental disabilities. Join us for dances, arts and crafts, game nights, off-site activities, and much more. A detailed schedule can be found in the TR Times Newsletter or in our Activites Guide, pages 164-165. For more information or to get on our electronic mailing list, call 503-629-6330. Thursday Night All Stars is a recreational program that provides a weekly opportunity for teens (ages 13+) and adults with developmental disabilities to play pick up basketball. This program includes 30 minutes of warm ups and drills followed by officiated games. Staff and referees divide players into teams to play four quarters with participants subbing in and out. Please see the Tualatin Hills Athletic Center section of the current activities guide or call 503-629-6330 for more information. Complete the required Medical Emergency Information form. Those requiring 1:1 assistance must bring an aide for the duration of the activity. For many years, THPRD has been one of the area's leading providers of swim lessons to kids and adults experiencing disability. Currently, these classes are offered at Beaverton Swim Center and Harman Swim Center. Currently, Beaverton and Harman Swim Centers offer adaptive swim lessons. For more information, please click on the following links.